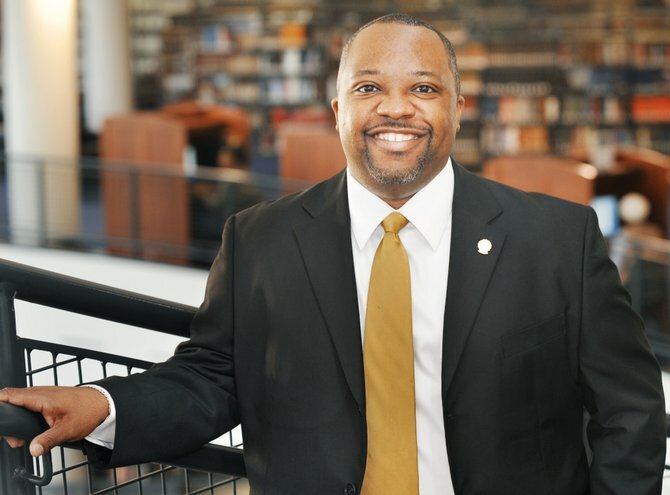 Congratulations to Dr. Jerome Offord, who is the first president of the new Joint Council of Librarians of Color (JCLC)! Dr. Offord is University Librarian, Head of the Department of Library Science, and Assistant Professor at Lincoln University in Jefferson City. 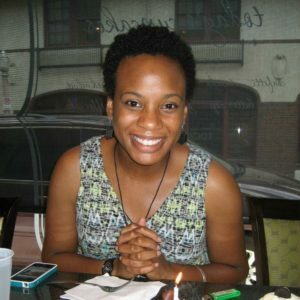 For more about JCLC and its member organizations, see the ALA’s press release. 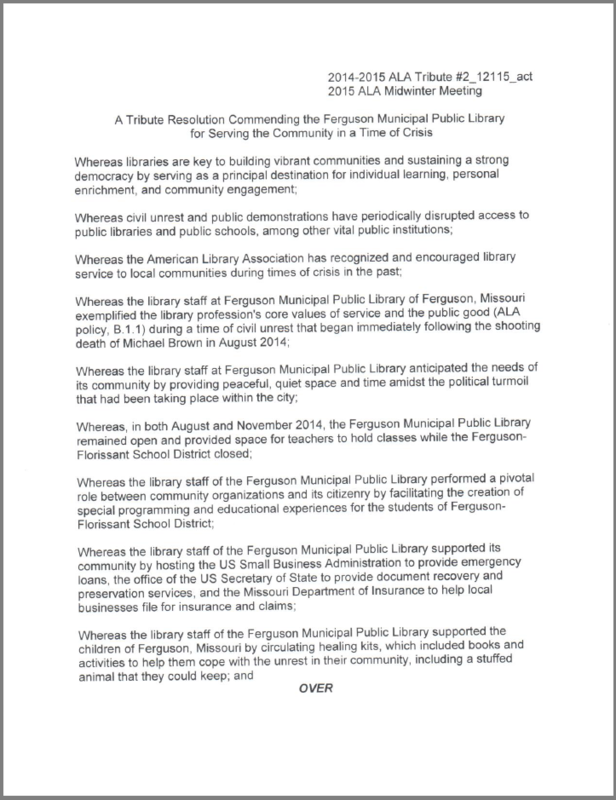 On Tuesday, February 3, 2015, the American Library Association Council approved the attached resolution at their midwinter meeting. 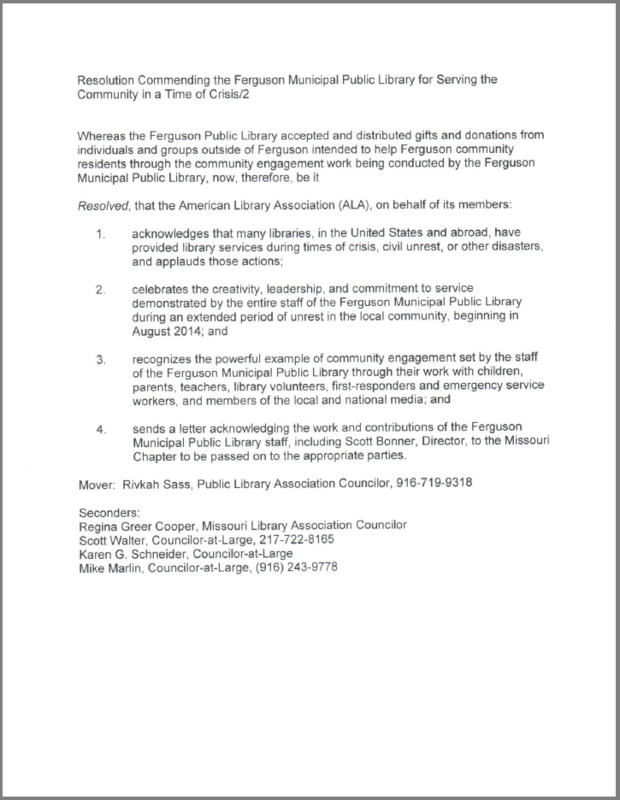 Copies of the resolution will be sent to the President of the Missouri Library Association, the Director of the Ferguson Municipal Public Library, the Mayor of Ferguson, the Governor, the Secretary of State, and the State Librarian of Missouri.